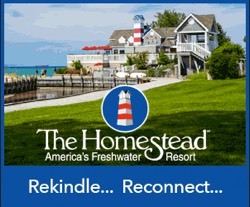 Family owned and operated Lodge in Michigan’s Upper Peninsula. 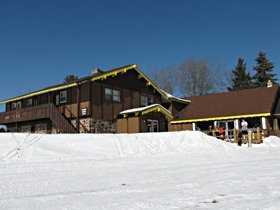 Powder Hound Lodge is destination to snowmobile clubs, ski & snowboard groups, families and individuals. Located blocks from Big Powderhorn Ski Area on snowmobile trail at Ottawa National Forest, Powder Hound Lodge offers great hospitality, guided tours and lodging for up to 45. Rent a room or the entire lodge for an unforgettable vacation. Rec room, tv/cable, wi-fi, kitchen, sauna, hot tub and outdoor grilling and deck area. A historic barn turned lodge building, with a rec room addition, 11 rooms for rent, each room with it’s own bathroom, able to sleep from 2 to 6 or groups 15 – 50. We pride ourselves on offering an unforgettable stay with reasonably priced accommodations and an adventure of a lifetime. We offer a full kitchen, two lounge areas with pool table, tv’s, sauna, hot tub, game room and outdoor grill ‘n bonfire area to re-live the days’ adventures. Powder Hound Lodge has plenty of parking for vehicles and trailers for toys. Powder Hound Adventures partners with the best guides to offer Snowmobile, ATV, Dogsled, Kayak & Mt. Bike adventures – to see areas not likely to find on your own. Pow–right in the heart of the Lake Superior snowbelt. This is ‘Big Snow Country’ that averages over 200 inches of snow per year! Plenty of dining and entertainment options in the Ski Village of Big Powderhorn & 6 miles from Hurley, WI–what Snow-Goer Magazine ranks as offering the best winter nightlife in the Midwest. From Ottawa National Forest to Porcupine Mountains. Big Powderhorn Ski Resort Area and amazing snowmobile trails and backcountry, our backyard is thousands of acres of vast wilderness, Black River and Lake Superior. Come enjoy the area with us. Live your Adventure at Powder Hound Lodge.